Reseller Hosting allows you to buy server space, then market and sell it on to your own customers. Below, you will find a list of companies that offer the most reliable and profitable Reseller Hosting deals. Being a Hosting Reseller offers you the opportunity to buy server resources from a Web Hosting company at wholesale prices, sometimes at a discount of over 50%. Then you can use those resources to create your own Web Hosting packages and sell them on for a profit. Reseller Hosting is primarily aimed at web developers, designers and agencies who want to offer a more 'complete' service, by providing Web Hosting solutions to complement the work they do for clients. For example a web designer operating multiple websites can resell bandwidth and storage to customers for whom they have designed websites. However, with software becoming more user-friendly all the time, it is now easier than ever for someone with relatively little technical IT experience to become a Hosting Reseller. The Web Hosting companies maintain the physical servers in data centers and usually offer to handle technical support calls on your behalf as well. 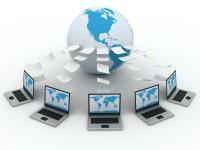 Fixing issues such as server downtime are also the responsibility of the Web Hosting company. This allows you, the Web Hosting Reseller, to prioritize your primary function (i.e. web design, or marketing and sales if you are exclusively Reselling). Through the Control Panel, a Hosting Reseller can manage the individual aspects of all their customers' Web Hosting plans, such as domains, storage, bandwidth and billing. 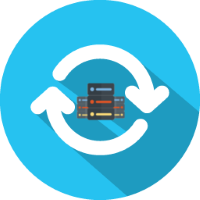 Reselling is made easy with Graphical User Interface (GUI) Control Panels, and these are an essential part of any Reseller Hosting plan. Your customers will usually have access to their own Control Panel in order to handle their own account, but the permissions level is set lower than that of your Reseller Hosting Control Panel. Reseller Hosting solutions are often designed to be scalable, so you can modify your plan if you are using more or less resources than you are paying for. This helps your services to keep pace with your business as your it grows. Money back guarantees and trial periods are common, along with both short and long term contracts – compare the plans above by selecting the checkboxes in the list and clicking Compare Plans. When choosing a reseller, the fine print of any long-term agreement becomes very important. 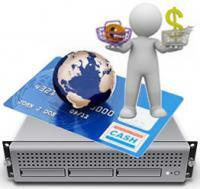 It is also important to know how much bandwidth and data storage the business is allowed. Be wary of marketing claims like unlimited bandwidth, since there are often “fair usage limits” or similar, and many providers tend to limit other features, such as how many database connections can be made in a certain period of time. Truly unlimited bandwidth and storage is not feasible, and there could come a point where the provider will change or terminate the service agreement. To remain competitive when promoting your plans, try targeting different markets through specialized incentives. If the service is targeting budget-conscious customers, consider offering a few free months of service or a deal that rewards consumers with a free month if they pay for at least six months up front. For professional customers, consider offering a key service like SSL encryption, for free. By creating a unique service, and a customer-focused pricing and incentive structure, your Reseller Hosting account can grow quickly into a popular mainstream Web Hosting option that consistently turns you a profit. Is your fledgling hosting company designed to serve bloggers and teachers, or mobile developers and entrepreneurs? After defining the potential market for your hosting services, establish keywords that will attract that audience. Robust keywords and contextual advertising will enable you to get your message across much more quickly. After launching the website, you can use services like Google AdWords to get your name out there in the eyes of the searchers. The quicker those advertisements appear, the sooner your service will begin to make a healthy profit thanks to higher demand. After settling on a plan, the Web Hosting Reseller can set up their company online and start selling hosting plans under their own brand name. Utilized alongside an existing web design and development brand, providing Web Hosting under your own brand gives you a complete and professional-looking image. Using the Reseller Hosting plans at the top of the page, even a single freelancer can offer a full complement of web related services under the same brand, from design to development to publishing. Particularly if you are a web developer or a small business/freelancer offering web services but have limited resources, becoming a Hosting Reseller can really help you to solidify your brand and offer a complete service to customers. With very little experience required and the massive potential for growth, Reseller Hosting is a strong option for anyone, be they business professionals, technically-minded freelancers, or simply someone with the time to learn and profit from an exciting and fast moving industry. 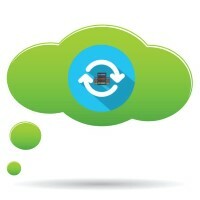 Get your Reseller Hosting plan today!